Drawing on the experiences of her own clients, an award-winning Sydney-based mortgage broker has noted the struggles confronting borrowers following the tightening of lending standards. Speaking on The Adviser’s Elite Broker podcast, director of No Fuss Homeloans Kathy Dundas highlighted the impact that tighter credit conditions have had on her clients, particularly investors. Drawing for a recent experience with a client, Ms Dundas particularly noted the effect that the current mortgage environment has had on her investor clients approaching the expiry of their interest-only period. “I’m finding it more and more difficult to help out my investor clients,” she said. “Three or four years ago when the banks were throwing money at them, interest rates were low, everyone was going out there getting investment properties. She continued: “I had a conversation with a client just last week. It didn’t end well. She was in tears. The Sydney-based broker, who was recently awarded with the Best Customer Service (Individual) award at this year’s Better Business Awards NSW, said that credit conditions have made it harder for brokers to find solutions for their clients. “She’s got to start selling properties, [but] she doesn’t want to do it now, and she’s not in the right headspace either,” Ms Dundas said. Ms Dundas explained that when approached by prospective borrowers seeking an interest-only loan, she ensures that they are fully aware of the implications and can manage principal and interest repayments. “We have the conversation about P&I, what it means [now] and at the end of the term,” she said. “A few years ago, the usual talk was, ‘At the end of five years, we can roll you again for another five years, but after that, you have to start thinking about P&I’. “Your customer would say, ‘That's fine, whatever’. Ms Dundas concluded that despite initially feeling frustrated with tighter lending policies, she now understands their value, claiming that they’ve provided an opportunity to engage in deeper discussions with her clients to ensure that the best customer outcomes are delivered. 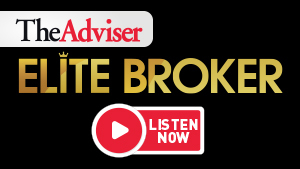 To hear more from Kathy Dundas, tune in to The Adviser’s latest Elite Broker podcast.